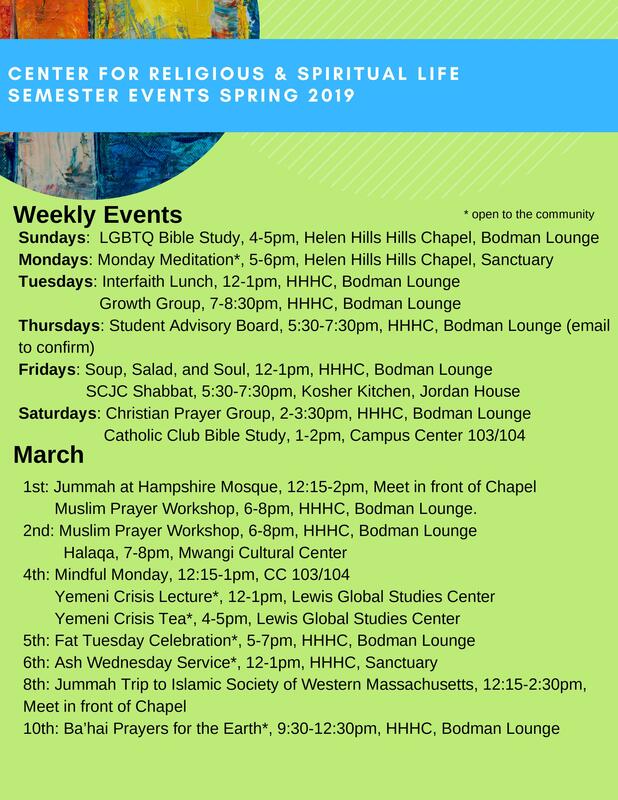 Below is the Spring 2019 event calendar! The Center for Religious and Spiritual Life encourages all students and community members to attend workshops, weekly programming, and events available to them. The CRSL is pleased to offer a variety of opportunities to ground our spirituals selves, develop our spiritual toolbox, or expand the horizons of our minds in regards to religious practice. Events open to the community are marked by an asterisk*. May the Spring semester bear enlightening fruit! 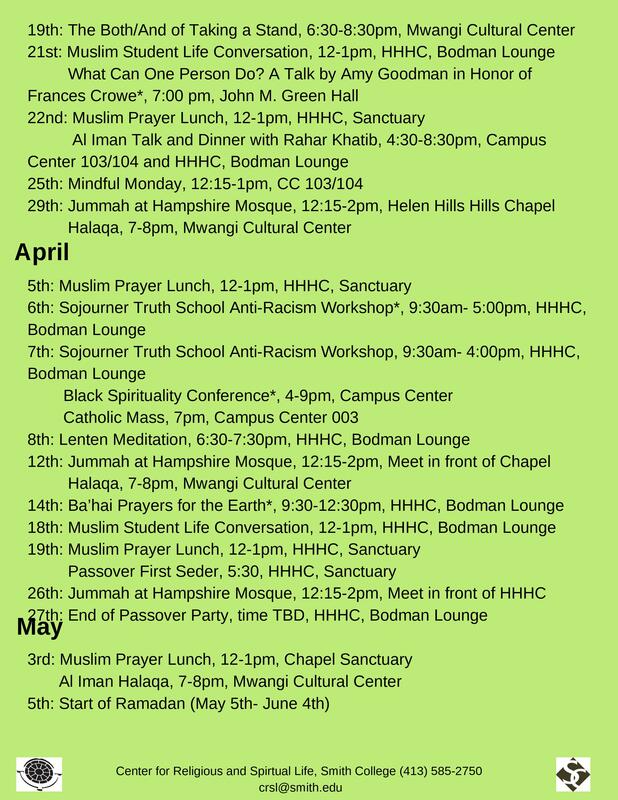 This entry was posted in Student Posts and tagged black lives matter, campus news, Christianity, Islam, meditation, Smith College Jewish Community, spirituality, stress/relaxation, Student Advisory Board, weekly programming, welcome, worship. Bookmark the permalink.